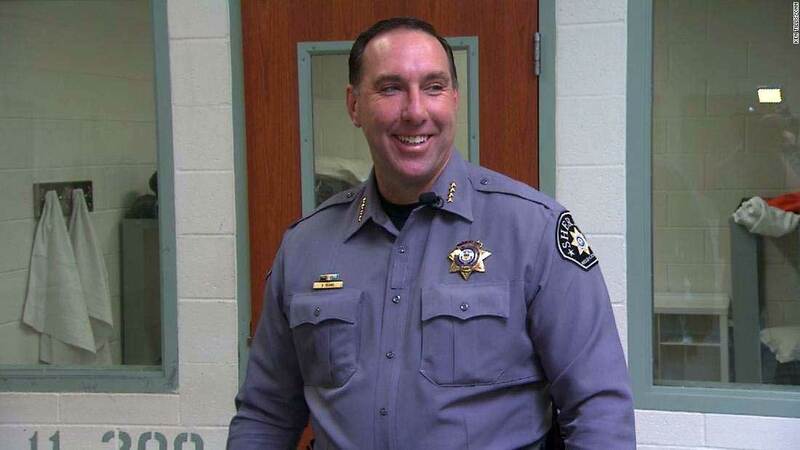 CNN: Weld County Sheriff Steve Reams disagrees so much with a gun bill making its way through the Colorado legislature that he’s willing to go to jail rather than enforce it. He’s not the only one who feels so strongly. The controversial “red flag” bill aims to seize guns temporarily from people who are deemed to be a threat to themselves or others. Garnett says he won’t lose any sleep if Reams or another Colorado sheriff opts for jail instead of enforcement of a court order. “What I’m going to lose sleep over is, if that’s the choice that they make and someone loses their life, someone in crisis goes on a shooting spree, (or) someone commits suicide” because a gun wasn’t taken away, he said. David Kopel, a constitutional law expert who has written extensively about gun policy in the United States, says he thinks the bill is generally a good idea but that he has serious reservations about how it is written — in part because of outside influence. “We’re putting a line in the sand for what we believe right now is support (for) constitutional laws,” said Douglas County Commissioner Roger Partridge at a contentious meeting in March. “Why would you tell a law enforcement officer they could not enforce the law because you didn’t like it? That’s craziness,” said Spurlock.